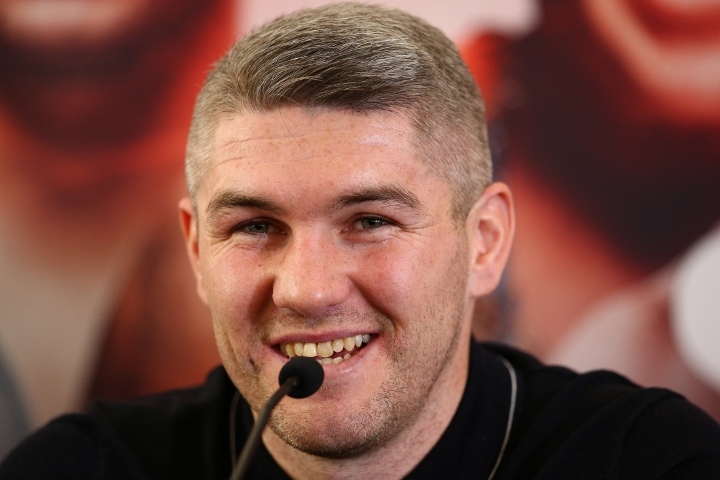 Promoter Eddie Hearn was pleased with this past Saturday’s performance by former WBO junior middleweight champion Liam Smith. Smith returned for the first time since last July’s twelve round decision loss to current WBO champion Jaime Munguia. Smith beat down former sparring partner Sam Eggington inside five rounds at the M&S Bank Arena in Liverpool. The contest was Smith’s first bout since signing a promotional deal with Hearn’s Matchroom Promotions. Smith’s other boxing brothers – Paul Smith, Stephen Smith and Callum Smith have long worked with Hearn. Liam had worked for years with rival promoter Frank Warren. “The plan was really to have two fights and then go and challenge for another world title. The fight against Eggington was a good solid win, a good solid performance,” said Hearn to Elliot Foster. “They’re three big fights and there might be one in between that as well. He’s got the profile to go and fight in America, he could come back and we could do another Liverpool show. There are loads and loads of options, but by the time he has two weeks off, I think we’re probably looking at the end of June or early July [before a return] and then we’ll look for that big fight. Jarrell Miller offered heavyweight title shot at Anthony Joshua; bout could land June 1 in N.Y.